Celeb Gossip News – Captain Marvel Easter eggs: Did you spot THESE Easter Eggs in Captain Marvel? Did you spot these Easter eggs in Captain Marvel? There are plenty of overt and subtle nods to the wider MCU in Captain Marvel. These are the, perhaps, less obvious Easter eggs in the Captain Marvel movie. When Captain Marvel lands on Earth, she is instantly embroiled in chasing down a Skrull. On the train platform, her presence raises some eyebrows; specifically those of Kelly Sue DeConnick. DeConnick wrote the 2012 inaugural comics starring Carol Danvers as Captain Marvel (as opposed to Ms Marvel). Carol discloses to Nick Fury (Samuel L. Jackson) that she and her mentor were involved in a top secret military project. Its name? Project Pegasus, which continued to experiment with the Tesseract in future Marvel films. There is a heartwarming scene between Carol and Monica (Akira Akbar), the daughter of Carol’s best friend Maria Rambeau (Lashana Lynch). 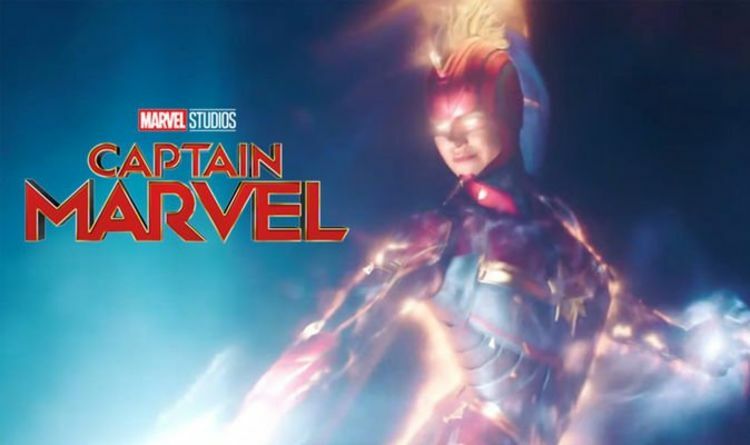 In the scene, Carol calls Monica ‘Lieutenant Trouble’, a name which stems from the Captain Marvel comics themselves. In the comics, a little girl is known by the name Lieutenant Trouble, a fan of Captain Marvel whose dreams came true when she and her mother were befriended by Carol herself. At the end of the film, Fury is seen typing up an initiative to prevent future conflicts with other extraterrestrials. As he types the title of the document ‘The Protectors Initiative’ he glances at a photo of Carol with her plane. Fury notices her call sign is ‘Avenger’, and he changes the title of his plan to: The Avengers Initiative. Maria gives the movie, and Carol, an emotional backbone for the film. Her callsign of Photon is not only super cool but a reference to the original comics. In the comic books, Maria’s daughter, Monica, takes on the monicker Photon for her superhero identity. This Easter egg of a cameo has now been linked to a wild but amazing fan theory. Stan Lee filmed multiple cameos before his death in November 2018. In Captain Marvel, he is holding a script for the Kevin Smith movie Mallrats. And in Mallrats itself, Lee has a cameo playing himself, leaving fans with a meta-Easter egg.